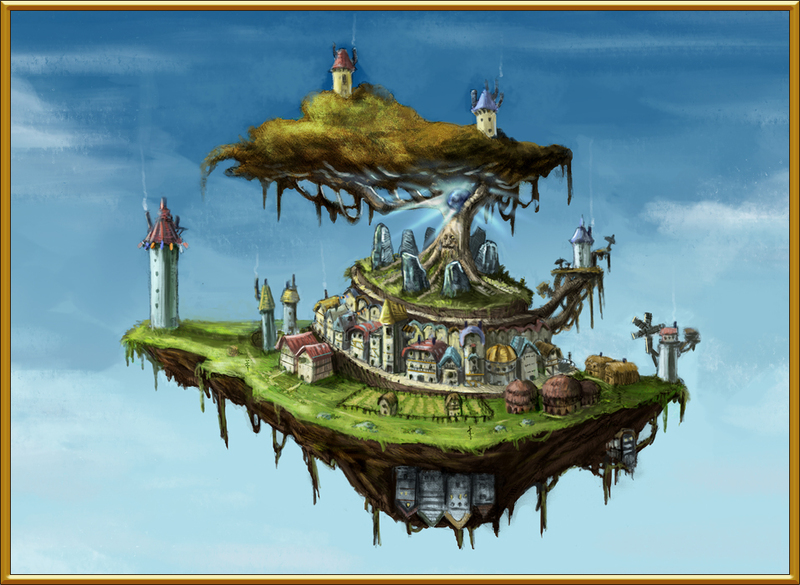 As a principal artist here at Kingsisle Entertainment, it is my job to create a style for all the different worlds we have for Wizard101. From the look of a ninja pig to the feel of the streets of Unicorn Way, it all needs to have the same treatment in order to create the illusion that this is a living, breathing world full of magic and wonder. 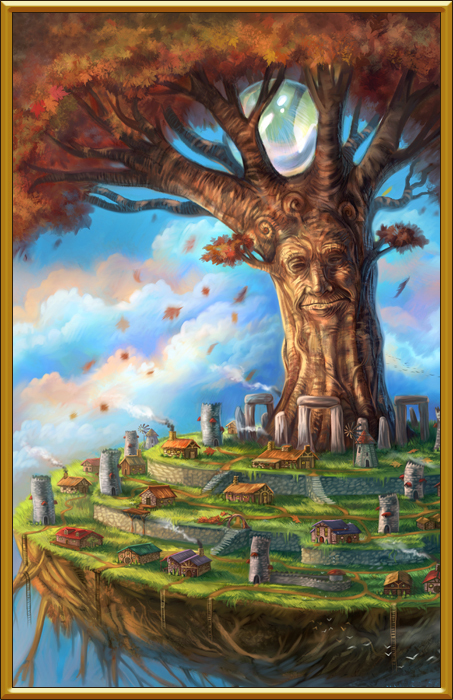 In this article series I will focus on how we achieve these magical worlds. We will go from concept, to 3D model, to texturing, to effects and then finally to a game asset that is viewed by millions of Wizards around the world. 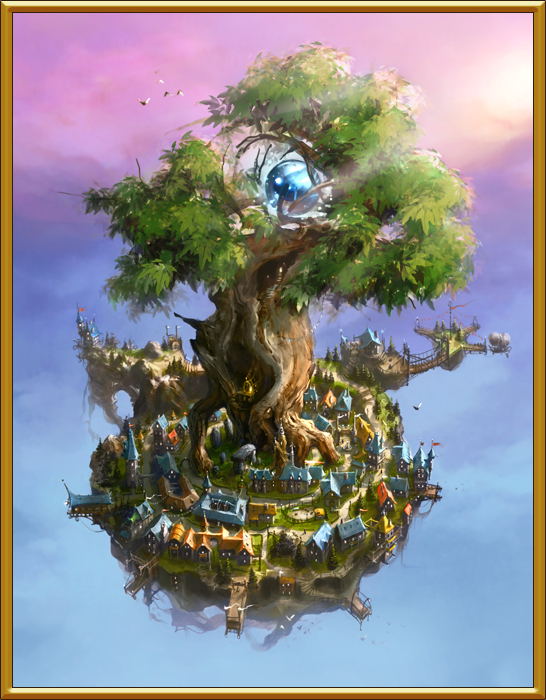 Let’s focus on one aspect of Ravenwood – probably the most important aspect: Bartleby, the world tree. He is the source of all magic in Wizard City. We start with a concept phase, which is a 2d painting of the character or world. This is where we play with a variety of ideas to establish what works and what doesn’t. What look and feeling are we trying to convey with Bartleby? Is he a sad tree? Is he happy to have Wizards running around his roots? Is he a wise tree? We asked several different artists to try their hand at what they thought Bartleby looked like. Remember, this is a brand new world we had just thought up and had no preconceived notions of what it would feel like. We were playing around with ideas and having fun with it. 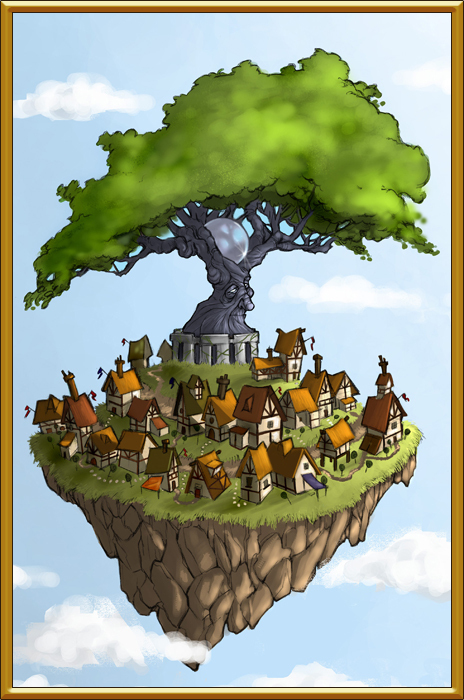 We didn’t give the artists any rules or restrictions, but only gave them this simple parameter: Bartleby is a tree at the heart of a magical city. This should be represented by a crystal or a globe in the tree itself. This first one is decent, but the tree’s face was a bit too human for our tastes. The spirals in the tree are a nice touch, though. This next one had a great grandpa feel to him, but he was deemed too cartoony for Bartleby. I like the look of this one, but it had a more matronly look to the tree. This one was a cool concept and we liked the green beard, but his faraway look was too passive for a wise old tree at the heart of an action-oriented story. This tree has a more natural look to him. His face is melded with the tree instead of simply a tree with a face in it. Yes, there is a difference! We did think the buildings in his leaves were a nice touch though. This is the one I submitted for this concept art phase. While it didn’t get picked, I think some of the colors and buildings surrounding Bartleby made it into the final Wizard City look you see today in the game. I still like the crooked nose and eyebrows of this one :). 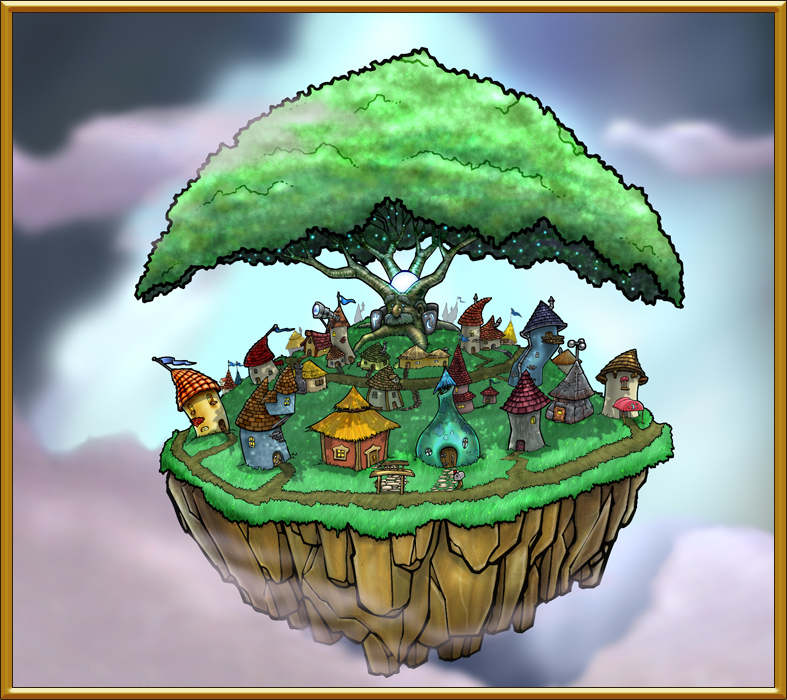 Now even though this tree didn’t have a face in it, the color scheme and shapes of the buildings around it were chosen to establish the “Wizard City” look. This last one is more like it! Look a bit familiar? We enjoyed the hawk nose, the beard integrated into the tree itself, the globe in the eye socket. It seemed to be all there. Of course, all of these were great concepts. 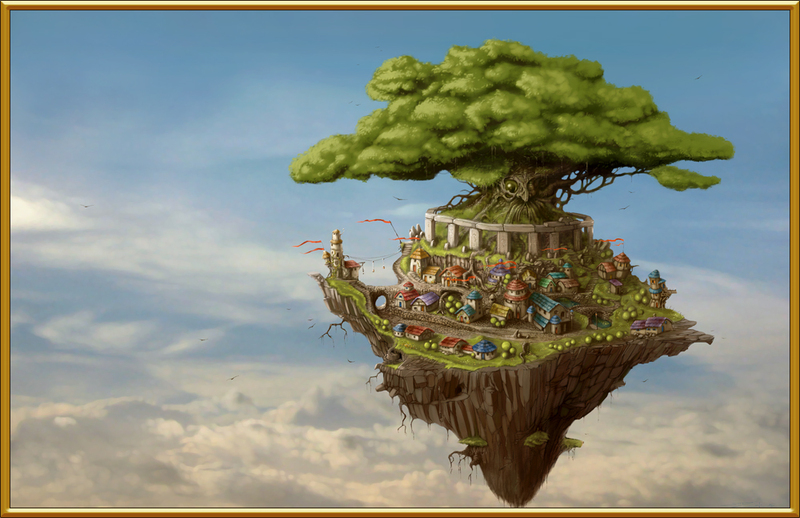 While this last concept was selected we actually incorporated pieces from all of the concepts into what would become the final Bartleby that you see in Wizard City. In my next article I will discuss the process of translating these concepts into the 3D object that eventually became Bartebly’s game form. Stay tuned! So very interesting, there is more to the creative process than most know. Can’t wait for more! Interesting post! Cant wait to read more! Do we get his eye back from Malistaire this time around? Can I just say WOW. I love how every artist had such a different interpretation for Bartleby. I wonder how many other characters had this treatment, there must be THOUSANDS of concepts We’ve never seen with brilliant interpretations. Great Post! Nice! I’d been wondering what some of the other submissions looked like! I liked them all very much and was glad to see that their were certain properties that each artist conveyed that got incorporated into the whole overall picture of the game. Easter Egg – Greyrose was at one point headmaster of Ravenwood and Ambrose was the Ice Professor. They switched roles halfway through production. She at the time was just an elderly grandma-type instead of a small fairy as she is now. I like the one above Bartleby, the first one, and the last one of course! All these pictures are extremely nice, I would wish to become as good as any of these artists. I really liked the last three. do you know a player in pirate101 named imish juan jones? 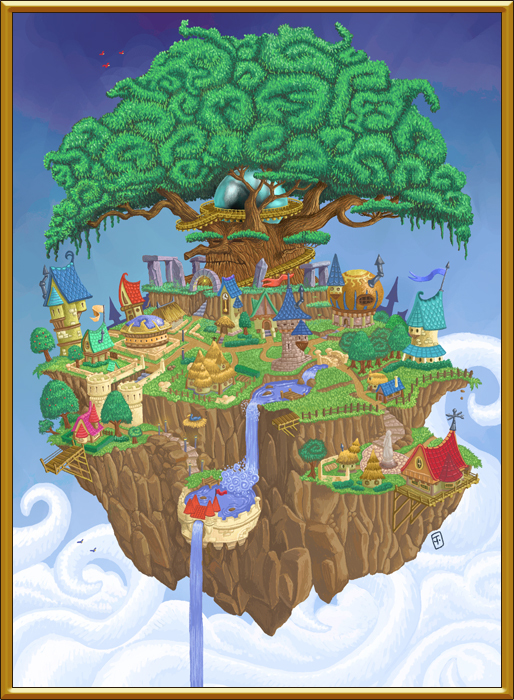 May I just say that the concept art that YOU made sir, as wizardly as it was, it had a little touch of Pirate101 into it, I mean, in the left bottom area, the pink house, it had some sort of a little ship port, just like those we heva everywhere in Pirate101? Why was that there? Why? Because sky ships are cool, man! I just love this blog! If I ask myself why do I play KI games the answer without pause is the artwork. Wizard101 and Pirate101 is a visual delight. :))) Just wonderful! Thank you KI. I like the fourth one the best; I think that the green beard looks the best. It’s how I would have imagined it. Very interesting post! Can’t wait for more! When will the next post come up? I’m waiting for Part two. Hello? Hey, kingsisle. I hope you read this. Well, since Celestia, us Storm wizards have been having a very tough time in pvp, due to crazy resist, given to ice and others. Now, it is just absurd. There is IMMUNITY TO STORM right now, and we don’t get to land a single scratch, They have like 106% resist or something like that. I tried it, and it was true. Most promethean thaumaturges want and will get their hands on this gear. It has been troubling since last year, and it made me like pvp less and less. Right now, I cant imagine going back there, and it’s not just a problem for diviners. Fire has this too. Look into some Youtube videos, and you will see what i mean. Then look at pvp rankings and such, and observe things. Please help, or we just might give up on pvp. It is getting really frustrating for us damage dealers(storm fire myth, balance even) to deal with this resist. In your player guide you stated that each school was equally powerful as the rest, and I hope that can be true. Help. Thank you for noticing this. Even though this is very off topic, I’ll still reply. Two words. Storm Prisms. Was the stonehenge, like rocks part of his original idea? Was that one of the characteristics you all decided would be a good idea because I would find it really funny if everyone of the artists just happened to think of it with their various interpretations. These are all great designs.The one you said you sent in looks like the ice tree if I do recall. lol that like last one was kind of weird but the rest are kinda cute. very cool, i would like to see more characters being designed. My only question is did you get the Idea for Bartlebey by looking through Norse Myths? 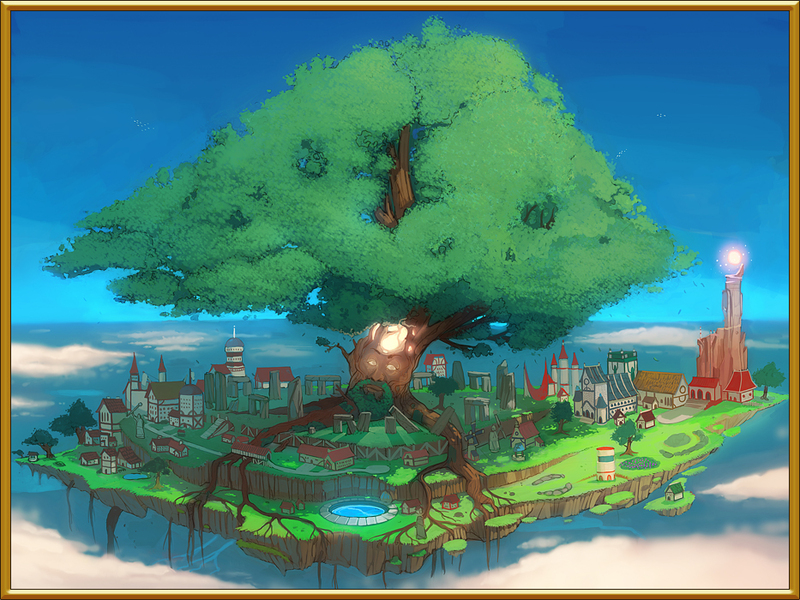 Because Yggbasil is the World tree connecting the nine worlds together by its roots.